From this page you may declare sails you own as Retired, Destroyed, or indicate a sail Transferred to another owner. When a sail is transferred it is included on the sail tag list with the new owner’s name. The original owner’s name will be automatically added to the Sail Registration Tag notes section. Transferred sails will be annotated on the Sail Tag Registration List as a new sail (less than 18 months old), or an old sail (more than 18 months old). Transferred sails classified as new will count toward the number of sails purchased in a calendar year per J/109 Class Rules section 5.7. Sails that are Retired or Destroyed will not show on the Sail Tag Registration List unless an option is checked to display these sails too. Transfer, Retire, or Report Destroyed Sail – Click here to perform the desired action. The action is performed using drop down options. The only information typed is the person’s name reporting the action. The system automatically notifies the J/109 Class officers responsible for reviewing the data. When the submission is approved, the sail will be updated on the Sail Tag Registration List with the sailmaker and owner notified via email. The updated certificate may be printed from the link included on the Sail Tag Registration List. Declare Sails for One Design events – Click here to declare sails. Owners may declare sails that will be used for a specific one design event when required by the Notice of Race. The online system makes this easy by limiting the choices to only those sails that have been registered to your boat. Should a declaration need to be revised, it is simple to pull up the previous declaration, make any necessary changes and resubmit. You will receive an email showing the declared sails. The class measurer is automatically notified when the declarations are submitted. From this page you may view sail tag registration data and purchase sail tags. The preferred method of payment is online via credit card or PayPal. You may also send a check. Sail tags are mailed when payment is received. Sail tags are $40.00 each and are required for all sails used in J/109 One Design events. 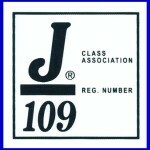 The requirement for J/109 Class sail tags is explained in the J/109 Class Rules section 5.0. Excerpts from the J/109 Class Rules are shown at the bottom of this page for easy reference. Order Sail Registration Tags – Click here or click the Sail Tag above to order Sail tags online @ $40.00 each – pay by check, credit card, or PayPal. Sail Tags are mailed upon receipt of payment. Thus if you pay online, you will receive the tags faster. Register a Sail Tag – Click here to register a sail tag you have in your possession. All data is entered online and certified by the sailmaker when the form is submitted. This system replaces the old Paper Certification that needed to be downloaded and scanned. The system automatically sends notification to the J/109 Class officers responsible for reviewing the data. 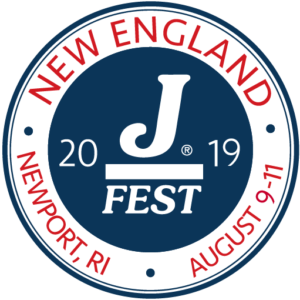 When the submission is approved, the sail will be included on the Sail Tag Registration List, the sailmaker and owner are notified via email, and the certificate may be printed from the link included on the Sail Tag Registration List. Update Measurements for a Sail Already Registered – Click here to update measurements for a sail that is already registered. Before submitting measurement updates, the sail should be listed in the Sail Tag Registration List under the current owner’s name and hull number. Should this not be the case, the sail should be Transferred using the process described in the Owner’s section above. All data is entered online and certified by the sailmaker when the form is submitted. Previous measurement data is populated on the form so the measurer may easily type over any parameters that require change. The system automatically sends notification to the J/109 Class officers responsible for reviewing the data. 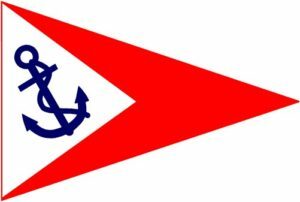 When the submission is approved, the sail will be updated on the Sail Tag Registration List, the sailmaker and owner are notified via email, and the certificate may be printed from the link included on the Sail Tag Registration List. View the Registered Sail Tag List – Click here to view the Sail Tag Registration List and to see data for a registered sail. Certificates include required measured parameters with any associated limits displayed from the J/109 Class Rules. Excerpts from the J/109 Class Rules regarding Sail Tags are provided below. c) provide the original to the Class Treasurer for registration in the Class Association database. Owners should confirm prior to a Class event that each sail they plan to use has been properly registered. 5.2 All sail measurements shall be made by certified measurers and in accordance with the current World Sailing Equipment Rules of Sailing (“ERS”). In this section, terms in BOLD are used as defined and used in ERS.